Go, Tracy, Go! : New Year's resolutionists, and who am I to complain about them? New Year's resolutionists, and who am I to complain about them? 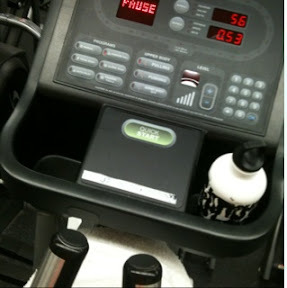 I put off my run for too long yesterday, and I ended up unable to get a treadmill at the gym. I did score one small victory over myself, in that I (mostly) silenced the petty, bitchy thoughts I had when I saw how many people were walking... slowly... on the treadmills. Why is my workout more important than theirs? Obviously it's not, but that didn't keep my irritation completely at bay. Instead, I sucked it up and did my 'run' on an elliptical. To add insult to injury, the only thing on tv was 'Keeping up with the Kardashians.' Ugh. But... But... The New Year's Resolutionists. The gym picked up in popularity, massively, on 1 Jan. And it hasn't slowed down! Even more inexplicable, the new people we see there are crazy fitness buffs, not just newcomers trying to keep to their weight loss resolutions. There are a lot of unemployed actors in my neighborhood, so it's also consistently busy: if there's a down time, I haven't found it. There are only 2 stairmills and 10 treadmills. I think I was spoiled by my first year at the gym, when the machines were typically empty and the classes underpopulated (don't even try to get into Thursday's spin class). No down time? Ugh. Perhaps Bostonians just aren't as committed to their resolutions. I've found that if I wait it out at work until around 7 and get to the gym at 7:30 I'll likely have better luck getting a machine. Don't know what to tell you except maybe you can work on a stare down to get people off the machines. It seems that more of the New Year's Resolution gym members are sticking around at my gym too. Maybe it's the economy? Or maybe people are finally learning to stick to their goals.